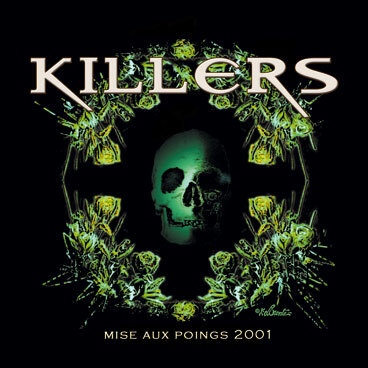 KILLERS recorded its ninth album "109" in 1999 then it has just released its latest French sung album just before the new millennium. 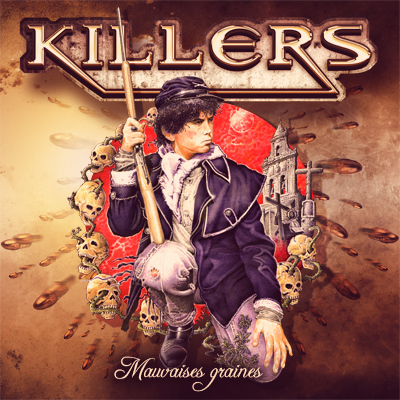 This album's called "MAUVAISES GRAINES" (Bad seeds) and things seem to be O.K for the future 'cause reviews about it are excellent! After those three years with this line-up, Bruno DOLHEGUY is pretty sure that the current musicians can carry on together for a long time... Sensations are really great and the music of the group is more powerful than ever, KILLERS has an official website ( http:/killers.neuf.fr ) and the band still got more and more fans! 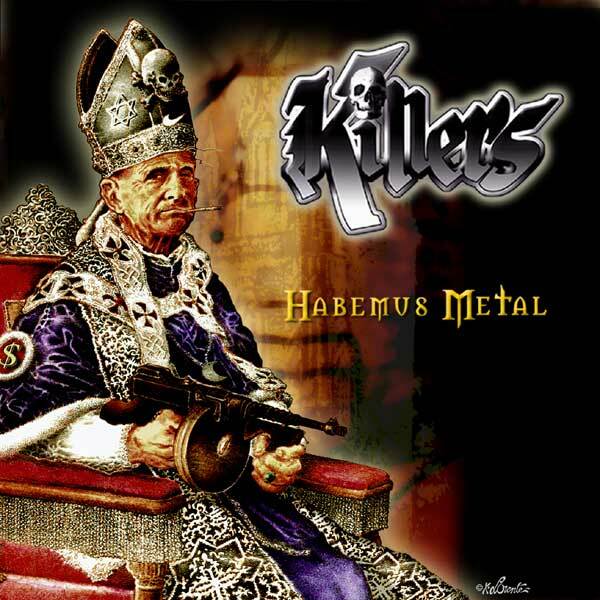 Concerts continue and KILLERS notably replays in July in Germany at the KEEP IT TRUE FESTIVAL. Late in the year, the second live album is released, it is quite naturally entitled "LE CÔTÉ LIVE". 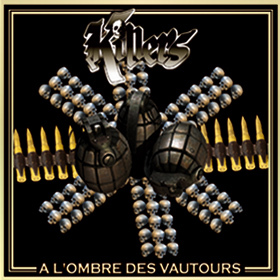 Late in the year on 2004, the first KILLERS DVD is released and they celebrate, with a little delay, twenty years of the band on November 12th and 13th in Bidache. Collectively to these organizations named "Bidache Metal ", the band prepares its new album.
" A L'OMBRE DES VAUTOURS" is released in April, 2007. This new album presents 22 new tracks during 69 minutes. The energy is still there but music is a little more varied and cover almost all the styles which compose the Metal music. 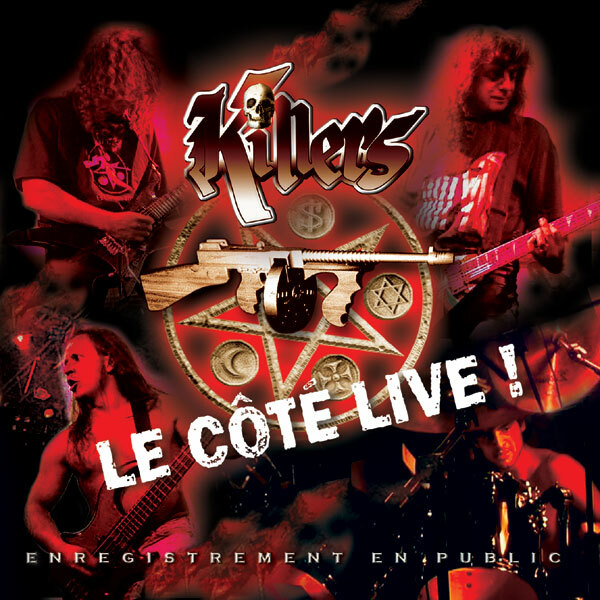 Concerts continue and the Paris Metal France Festival's show is immortalized in 2008 by the release of a live album. In the end of March, 2010, Carlo DI MATTEO joins the band to replace Florent who has not now enough time to go on. KILLERS will find the scene on July 2nd, 2010 in Hélette ( 64 ) by participating at the fifteenth edition of the Basque festival Euskal Herria Zuzenean. They are quite ready to record a new album which will be released in 2012. 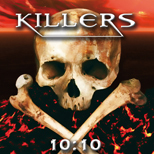 "10:10" is released on October 10th, 2012 and presents 10 new tracks which balance a little more than his two predecessors the ascendancies Heavy, Speed and Thrash who are a part integral of the music of KILLERS. The band decides to propose this new album only in direct selling at the 10-euro same price, carriage paid for the whole world. This new step, independent and brave, is a taken commitment from the band for the future. 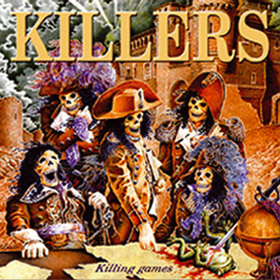 KILLERS is, now in November 2012, recording new tracks for next cd which is going to be released before the end of 2013.